In this workshop we will explore the relation-ship that we have with our own heart. How do you feel in the space of your heart? How do you feel about yourself? Free…judgemental ….sad … loving … respectful ….open…? The heart-chakra is the 4th energy center in our body and when in balance and open we feel in love with life, with ourselves and our partners. It is the bridge between our mind and body and between our body and soul. In this workshop we will practice an activating flow of Yoga-positions that will harmonize, heal and balance our heart chakras. You will become more consciously aware of how you are in contact with your own inner source of love and compassion. You will be guided through self-reflective meditations, exercises and deep relaxations. Come and join on this heart-opening workshop. 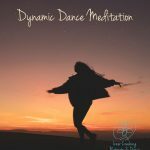 Enjoy the harmonizing Yoga flow and space and the deeper conscious connection to your heart-space. We will have a tea and lunch break where you can enjoy some superfood chocolate and different sorts of tea. Please let me know if you like to join in.